Today we briefly touch on the fascinating subject of maintenance manuals. Given the ongoing maturation of landscape urbanism theory and the fact that some of these projects are starting to be built, it worth considering different ways for how all of this stated emphasis on “performative capacity and emergent conditions” might actually play out. Maintenance for public spaces today is based on the paradigm laid down during the aristocratic renaissance period and famously codified in the management of the gardens at the Palace of Versailles: a professional master gardener who was heavily involved in the conceptualization and design of the landscape then dedicates his life to seeing to the management of this particular landscape, all at the behest of a Western European potentate and vision for the place. This model has been only slightly altered in 400 years, mainly due to the specialization of professions and the altered face of the monarchy. 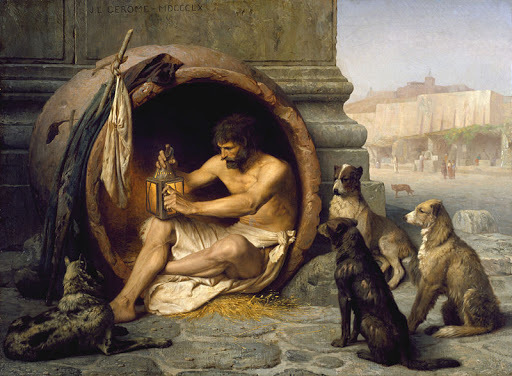 And though Diogenes would not approve, this is appropriate if you are working on a fancy park that is a generator for a real estate economy. Take the High Line: designed by a heady cast of imported characters, it is now managed by brilliant horticulturalist Pat Cullina and a phalanx of workers. And here it works so far. The problem arises because some variation of this same model is applied to all public parks. In most cases, the design/er is not as sophisticated and the maintenance is carried out by lowly-paid and divested pubic employees who wander around the premises picking up trash and cutting anything that looks like fescue to the nub when they aren’t sitting in the maintenance truck by the curb. This necessitates that the design be tailored to lowest-common-denominator maintenance operations, and the park inevitably begins deteriorating at its inception until it is reconstructed with another half-assed capital project. Verzone: Do you think the practice of landscape architecture will ever develop a more long term investment with the actual project, with the actual site? Because it’s rare that we hear of conditions when a landscape architect is… contracted to make a maintenance plan or is take [the project] into three, four, five years after. I think we tend to- in larger scale planning or design projects- we tend to lay that out at the beginning and look at those points, not only when a landscape architect might be involved in the maintenance or management of the landscape itself or the ecosystem, but also in terms of the public process- at what point might you bring the public back into dialogue as a portion of the project is built out to then get new feedback on the new project? They can actually experience the project on a daily basis, and then somehow feed that information back into the framework for how the project needs to evolve through time. He brings up good points, and then doesn’t go into them any further- we would like to see how that actually happens. We wonder what Reed might have in mind when he refers to “very creative maintenance manuals” that will integrate environmental feedback and public dialogue into a fluid, non-prescriptive management process for a landscape? Perhaps the excellent “Rebuilding Central Park” would be a start, given the scope, scale, and cultural significance of its subject? Or the cultural landscape reports generated by the National Parks Service? 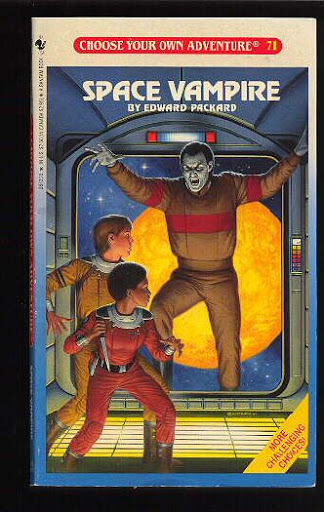 We would look to the “Choose Your Own Adventure” books from our childhood, now made even more interactive and “non-linear” thanks to software technology and theory. Perhaps the maintenance manual becomes a computer program, one which starts with the solid base of documentation provided by a cultural landscape report and then incorporates data from the sentient-cyborg landscape and the socially-networked constituency that uses the landscape. An enormously complex task and, to be sure, one that would be inappropriate to certain landscape interventions. But, as Verzone and Reed recognize, we must construct a theory of landscape maintenance and management, one that doesn’t exclusively rely on a poor man’s bureaucracy-infused imitation of rennaissance landscape paradigms and afflicted with disenfranchised and disinterested communities. Landscape interventions that get away from massive initial infusions of capital, instead focusing on management and enabling agency among valued actors is one promising way forward for theoretical development and intervention in the landscape. Rob- you put it well: maintenance as an area of agency for landscape architects.The profession promotes the idea of intervention as the primary agency of landscape architecture both through pedagogy (studio-focused degree programs) and marketing (the new capital projects gain the accolades). But management (or, obviously, some combination of management and intervention) is a largely ignored and potentially powerful and interesting method of implementation.I think LU could take us this direction in a very interesting way, if we let it and really explore it. 'Til now, management has been left in the realms of 'maintenance' and preservation, etc. 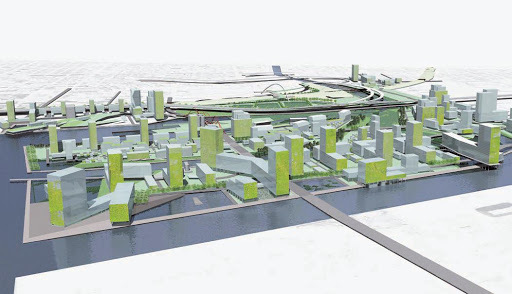 which is very limited.And that doesn't even broach the re-integration of design and agriculture/working landscapes.Right now, though, most prominent LU's just want to practice the same way, with a slightly different shtick (see Field Ops just won the Seattle waterfront project).